Modiano Platinum Acetate Is currently available in Poker size. The poker designation only refers to the size of the card. 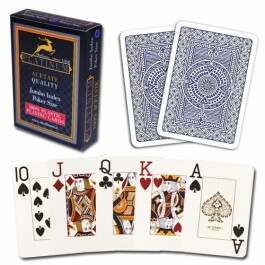 A poker card is 3.5 inches tall by 2.50 inches wide. It is also commonly known as wide size. This set is Jumbo indexed. The jumbo index refers to the size of the pip (the letter or/and number in the corner of the card). A jumbo indexed card has a larger pip but a smaller picture. 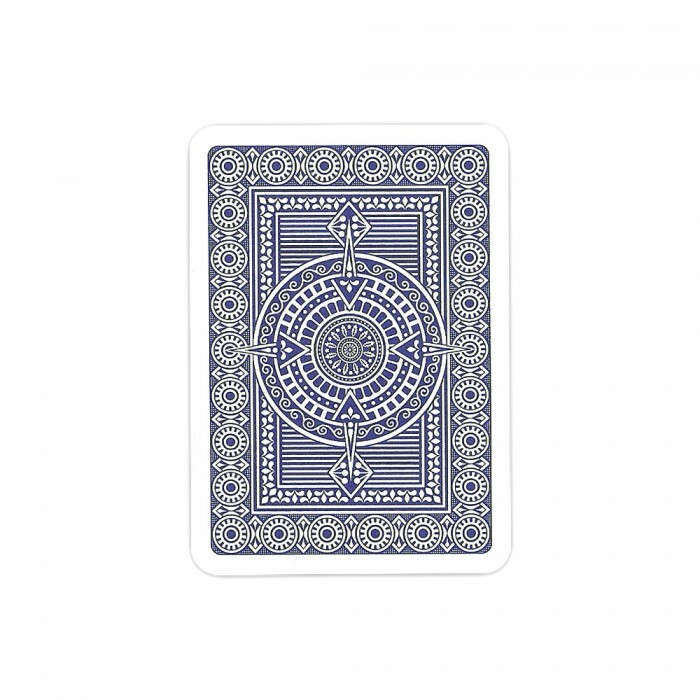 Modiano Platinum Acetate is the finest playing card in the world. Acetate is considered by most experts involved in the science of playing cards as the perfect material for building better playing cards. 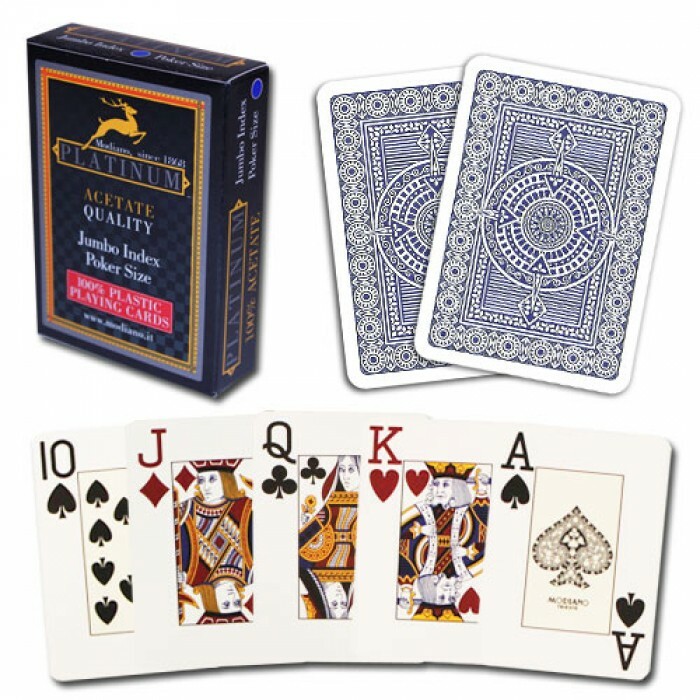 Acetate based playing cards will have more snap, shape retention, texture and in general will be more durable than their regular PVC counterparts! This deck also comes freshly packaged in a cellophane wrapped cardboard tuck box.